Tri-Mountain 9100 Colorado Jacket [TM9100Colorado] - $94.99 : Sogowear Outfitters!, Polo Shirts, Golf Shirts, Jackets, Fashion Fleece, Woven Shirts and More! The 9100 Colorado Jacket from Tri-Mountain is a complete 3-in-1 system parka, in which this Waterproof Jacket features a layer constructed of windproof and water-resistant Toughlan nylon. Also features a convenient zip-out super heavyweight 11.5 oz. 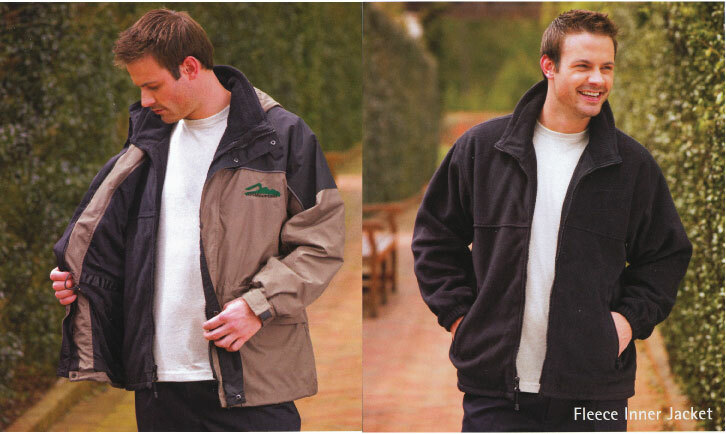 Anti-Pilling PANDA FLEECE, while the inner jacket includes a corded collar. The EMB-AXS System, a 55” hidden zipper providing embroidery access runs along inside seam allowing the chest and back area to be embroidered without having to go through the lining. Shoulder and back sleeves are pleated with contrasting color and reflective piping. 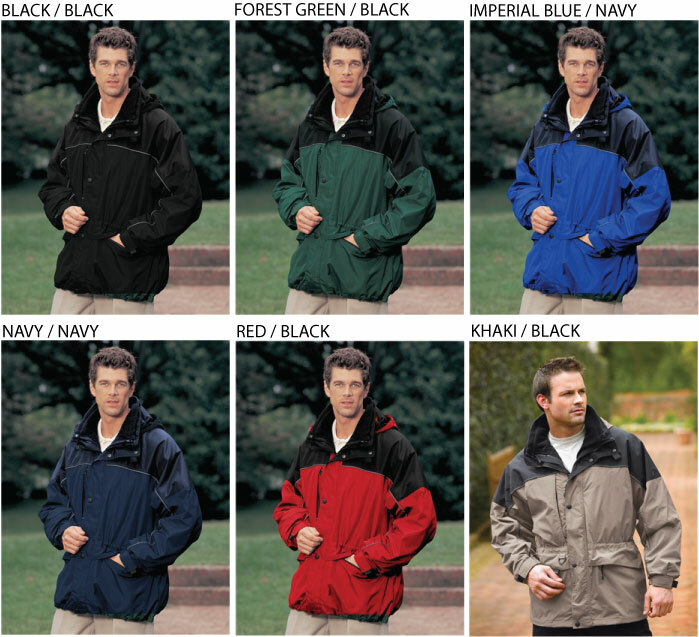 Zip-out hood is easily stored in various pockets including the right inner cell phone pocket. 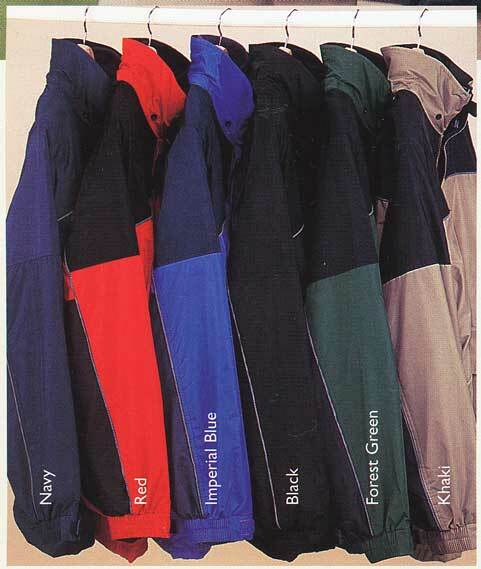 -Polyurethane coated heavyduty waterproof jacket. 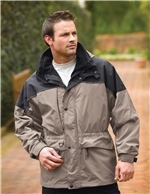 -With lightweight half-mesh materials, and a half-Taffeta nylon lining.